Perhaps this poor little bird was just trying to get inside and out of the rain when he flew directly into a window on Friday night. 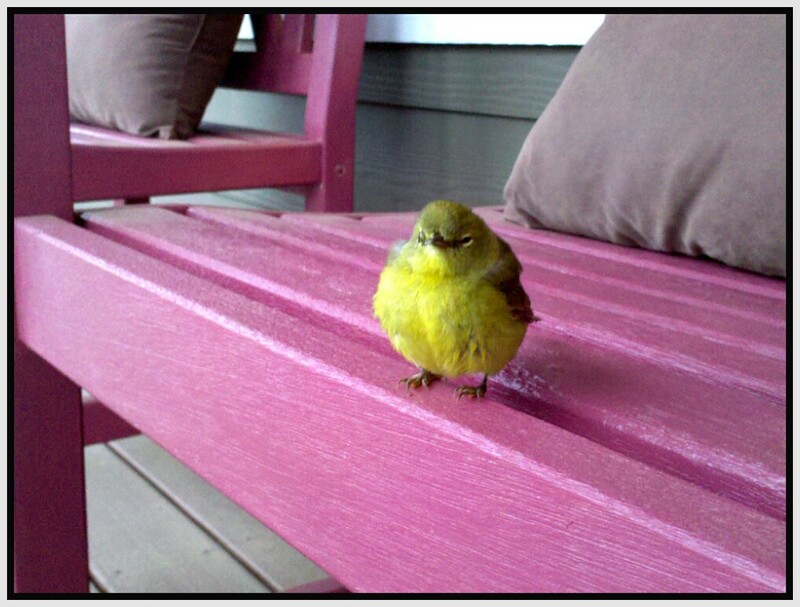 He sat a little dazed and confused on Pauli’s mom’s front porch until he was ready to fly away again. Next Post Next post: It’s Official!